A superb collection of Antique Oriental Rugs, Vintage Carpets & Antique Persian Rugs at the Nazmiyal Antique Rug Gallery In Manhattan New York City. 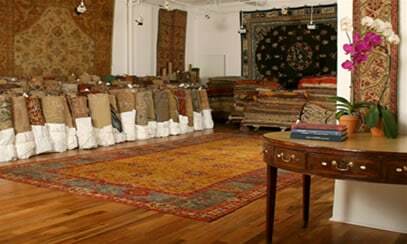 A New York antique rug dealer since 1980, Nazmiyal has a highly specialized and user-friendly website with an extensive inventory of antique rugs of every type, size, and style. An inventory of this range and quality is based on years of experience and effort in searching out the best pieces from sources all over the world. Nazmiyal is also a natural magnet that constantly attracts those interested in selling rugs. Even within the bustling New York rug market with its international contacts, Nazmiyal provides a major focal point or nexus, all of which is at the disposal of Nazmiyal's clients, whether they are dealers, interior designers, or private retail customers. If you want an Oriental carpet, New York is the place to be, and within New York itself, the place to be is Nazmiyal. If you are not located in the New York City area, don't worry, we supply antique rugs throughout the entire United States and the world. Visit us online or if you are in town, you may experience our collection first hand in the spacious and relaxed setting of our Midtown Manhattan rug gallery. Antique Rug Dealer NY - Nazmiyal is recognized as one of the premier New York Oriental and Persian carpet dealers since we opened our doors in 1980. Our Manhattan gallery is home to an extensive catalogue of antique and contemporary rugs, encompassing every style, size and era. Nazmiyal's New York City gallery houses some of most exquisite masterpieces on the market. A collection of this range and quality is based on years of experience and effort in acquiring the preeminent pieces from sources worldwide. In addition to showcasing the worlds finest Oriental rugs and Persian carpets, Nazmiyal also serves as a magnet consistently attracting those interested in selling. Whether we're considering the purchase of an antique carpet or a new one, we always make sure the piece displays quality construction and an exceptional design pattern before we add it to our collection. As a seasoned Oriental rug dealer, our priority is to provide customers with the most exceptional selection on the market possible. Choosing from our wide-ranging inventory of rare and remarkable pieces, you're bound to find a work of art that will compliment your personal taste and capture the look you've been trying to find. No matter what type of rug you end up purchasing, you can trust Nazmiyal to provide you with both quality and excellent client support. We invite you to browse our website, or visit our gallery to view the extent of our broad collection. 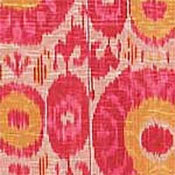 Our educated experts will graciously advise you on the perfect rug to enrich any environment. 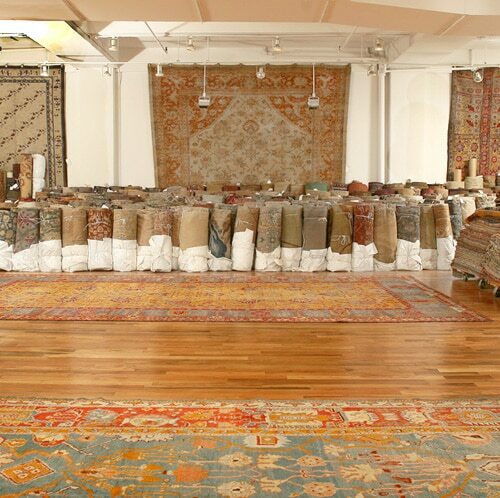 Nazmiyal's NYC antique rug gallery provides a nexus which is at the disposal of Nazmiyals clients, whether they are collectors, dealers, interior designers or private customers. 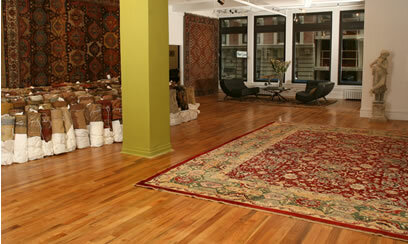 When looking for when looking for antique oriental rugs, Nazmiyal is your clear choice. Oriental Rugs and carpets have always appeared as just that - a cultural product of the East with all the exotic associations that this conjures up. 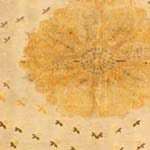 Initially one thinks of the weavers themselves working over their looms in the cities and towns of Persia or Turkey, and then the journey of the carpets into the commercial emporia or bazaars of such countries. The wonderful late nineteenth-century painting by Jean-Leon Gerome, "The Rug Merchant," captures this exotic bygone age rather effectively. Even today, travelers to Persia and Turkey can still attest to the vitality of the rug markets in places like Tabriz, Konya, Izmir, and, of course, Istanbul. But truth be told, no place in the Middle East can claim to be the center or capital of the international rug market nowadays, at least not in the realm of antique pieces. This title must go to London and even more to New York. The immediate reason for this is the presence there of major International auction houses with highly developed rug departments.Houses of this kind exist in Europe as well, but even they would yield pride of place New York and London if pressed. What makes New York stand out especially is the existence of a very well and long established rug district in addition to the auction houses. The Oriental rug district in Manhattan is a world unto itself. Located primarily in the low 30's between Park and Seventh Avenues, this area comprises a range of establishments. There are full-fledged ground-level stores as well as second-floor galleries that offer a more formal, secluded escape from the bustle of the street. But many other dealers numbering in the hundreds fill floor after floor in various office buildings throughout this district. Dealers of this latter type cater mostly to the trade and to one another. They do engage in retail sales, but one has to know antique Oriental rugs and their value rather well to buy from the office-building dealers, whose retail clients are mostly collectors. In any case, in Manhattan alone we are talking about inventories that collectively amount to many thousands of vintage and antique rugs. Add to this the various uptown dealers or galleries in the decorator district of the East Side in the 50's, and it becomes clear that New York can offer access to an incredibly varied and extensive supply of antique Oriental carpets that is unparalleled anywhere else on the planet. Within the rug world, this is certainly no secret. 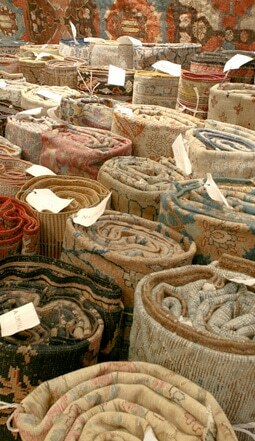 Dealers from all-over constantly come to New to have access to its supply of rugs. 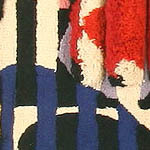 Such visits tend to swell enormously when there are major auctions or special exhibitions of rugs. And New York is not only attractive to European dealers and collectors, but even to those from the Orient. It is well known that dealers from Central Asia, Iran, and Turkey flock to New York to acquire antique pieces from their home regions. The reason for this is that the supply of antique pieces in these areas has long since dried up owing to an endless, century-old demand in the West for Oriental rugs. So when you buy an antique carpet in Istanbul or anywhere else in Turkey or the Middle East, it may well be a piece that had spent much of its life in Europe or the United States! There is certainly a lesson in this. The idea of acquiring a rug on a trip to the Middle East is a romantic holdover from European and American tourist practices going back to the nineteenth century or earlier. On a certain level we all want to experience something like Gerome's painting when we buy a fine Oriental rug. It is certainly wonderful to travel to these places, but if your goal is to acquire an antique carpet for the best price, you might as invest in a less expensive trip to New York. If you live in or Near New York, you might as well stay at home and concentrate your resources entirely on the rug itself. And in truth you do not even have to travel at all. Among the various New York rug dealers, Nazmiyal has a highly specialized and user-friendly website with an extensive inventory of antique pieces of every type, size, and style. An inventory of this range and quality is based on years of experience and effort in searching out the best pieces from sources all over the world. Nazmiyal is also a natural magnet that constantly attracts those interested in selling rugs. Even within the bustling New York rug market with its international contacts, Nazmiyal provides a major focal point or nexus, all of which is at the disposal of Nazmiyal's clients, whether they are dealers, interior designers, or private retail customers. If you want an Oriental carpet, New York is the place to be, and within New York itself, the place to be is Nazmiyal. 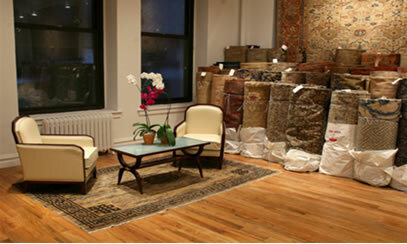 Visit us online or experience our collection firsthand in the spacious and relaxed setting of our Manhattan rug gallery. San Antonio Texas | San Diego | San Francisco | Seattle | Washington, D.C.